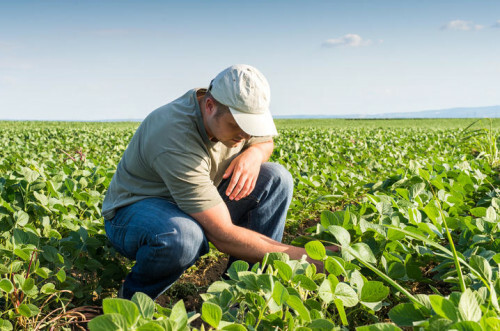 LOUISVILLE, Ky. — The U.S. Department of Agriculture’s National Agricultural Statistics Service (NASS) released the November Crop Production report today, showing a decrease in the soybean production forecast. Corn production in Kentucky is forecast at 222 million bushels, down 1 percent from the October forecast and up 2 percent from the previous crop. Yield was estimated at 179 bushels per acre, down 1 bushel from last month and up 1 bushel from the 2017 level. Acres for harvest as grain were estimated at 1.24 million acres, up 20,000 acres from 2017. The U.S. corn production is forecast at 14.6 billion bushels, down 1 percent from the October forecast and up slightly from 2017. Based on conditions as of Nov. 1, yields are expected to average 178.9 bushels per acre, down 1.8 bushels from last month and up 2.3 bushels from 2017. Area harvested for grain is forecast at 81.8 million acres, unchanged from the October forecast and down 1 percent from 2017. Soybean production for Kentucky is forecast at 107 million bushels, down 5 percent from the October forecast and up 5 percent from 2017. Yield was estimated at 54 bushels per acre, down 3 bushels from last month and up 1 bushel from a year ago. Acreage for harvest as beans was estimated at 1.99 million acres, up 50,000 acres from the previous year. U.S. soybean production is forecast at 4.60 billion bushels, down 2 percent from the October forecast and up 4 percent from last year. Based on Nov. 1 conditions, yields are expected to average 52.1 bushels per acre, down 1.0 bushels from last month and up 2.8 bushels from last year. Area for harvest is forecast at 88.3 million acres, down slightly from the October forecast and down 1 percent from 2017. Survey responses for this report were collected from producers around November 1. “I want to thank the producers for taking time to provide data for this report,” Knopf said.